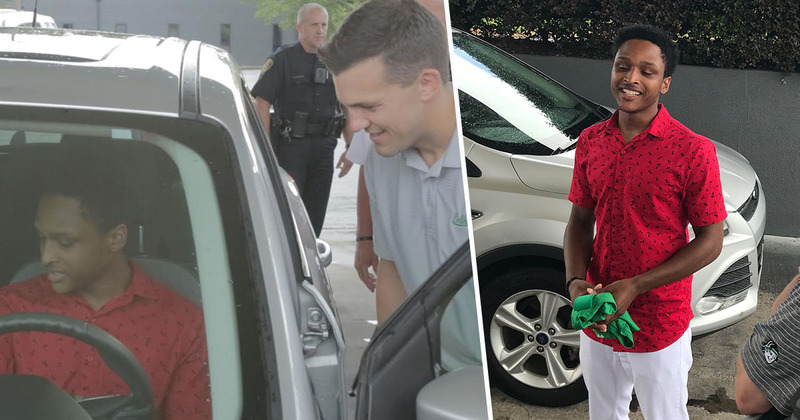 A college student who was walking 20 miles in the dark to get to his new job has been given a gift he won’t forget for a long time. After his own car broke down, Walter Carr had started walking through the suburbs of Birmingham, Alabama at midnight in order to arrive at his job with a moving company by 8am. However, at around 4am police picked the student up and, learning of his situation, took him for some breakfast and a much needed cup of coffee. The police then dropped Walter off at the house of customer Jenny Lamey, who was his first job of the day. Jenny told Carr to rest but he refused and got right to work, the BBC reports. Learning more of Walter’s story – his childhood in New Orleans, moving to Houston, Texas, after Hurricane Katrina destroyed his family’s house – Jenny was so moved by his story that she knew she had to help the young man. I can’t imagine how many times on that lonely walk… in the middle of the night did he want to turn back. How many times did he wonder if this was the best idea. But he walked until he got here! I am in total awe of this young man! Jenny posted the story and started a GoFundMe page to raise money for Walter to repair his car. However, Jenny wasn’t the only one to learn of Walter’s story and his dedication to get to work. 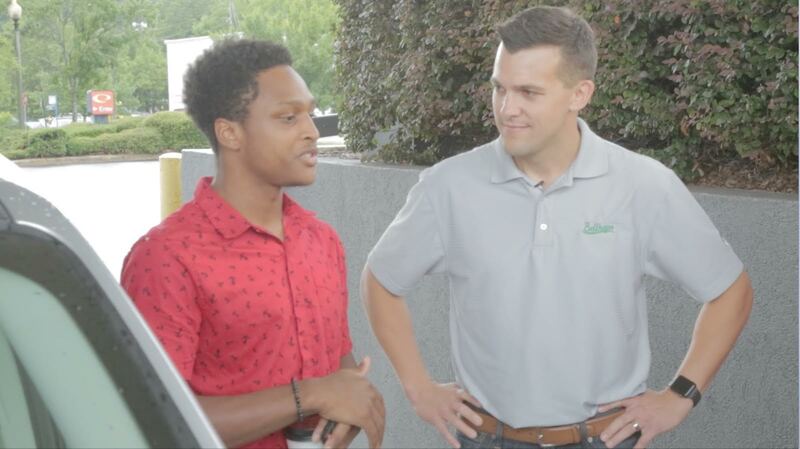 Luke Marklin, CEO of – the moving company Walter works for – heard the story and drove from Tennessee to Alabama over the weekend to meet the impressive employee, and give him a special gift. I am honestly blown away by him. Everything he did that day is exactly who we are – heart and grit. Luke then handed over the keys to his own car. Obviously overwhelmed, Walter responded: ‘Seriously?’, before hugging Luke and taking the keys. Decisions in your life that are sometimes big and that you make pretty quickly because they’re the right thing to do — and this was one of them. As well as the new car, the GoFundMe page has so far raised over $32,000 which, Jenny has confirmed will be managed by a wealth firm to ‘help [Walter] plan, save and manage these funds’. This was the first job in a long time to give me an opportunity to get hired. I wanted to show them I got the dedication. I said I’m going to get to this job one way or another. I want people to know this – no matter what the challenge is, you can break through the challenge. Nothing is impossible unless you make it impossible. You can do anything you set your mind to. After finishing college, Walter hopes to join the US Marines before returning to Birmingham to study physical therapy.